Hopefully everyone has recovered from their Thunderbird Thursday Thanksgiving Turkey Day hangovers, because we have some special treats on tap for you this week! 2018 has been the year of flavored malt beverages, and with a month left to go before the end of the year, the hits keep coming! Everyone knows the classic St. Ides 40 ounce, and now they are back at it with two new entries into the malt beverage market with the 14% alc. by vol. 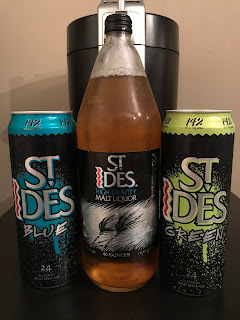 St. Ides Blue (Berry) and St. Ides Green (Apple). I couldn't decide which one to feature this week, so we are cracking open BOTH for a special malt beverage of the week double feature! We will be tackling this feature a little different than usual, as it will be spread out and updated over three days. 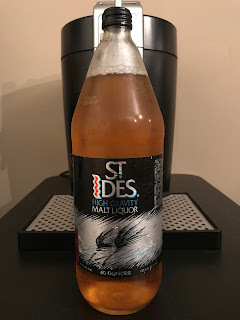 We are kicking off the festivities with a classic St. Ides 40oz for Forty Friday, and will crack open both of the NEW malt beverages over the weekend! Make sure to stay tuned to bumwinebob.com for updates along with a NEW podcast covering all this and MORE later this weekend! 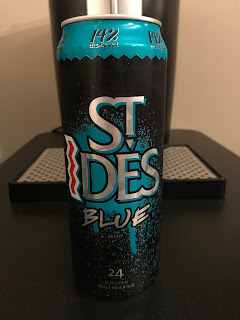 St. Ides Blue (Berry) is your standard Blue Raspberry malt beverage fare. Nothing to write home about, but smooth enough to enjoy in a single sitting. If you like the color blue, this is for you! 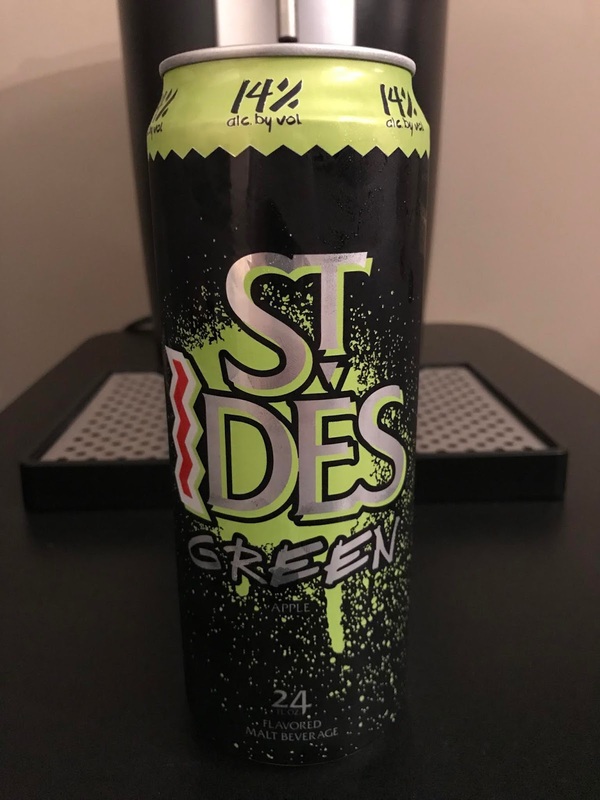 St. Ides Green (Apple) does have a nice unique apple flavor, that is different than some of the others on the market. I was pleasantly surprised with how this one tasted compared to some other apple beverages. 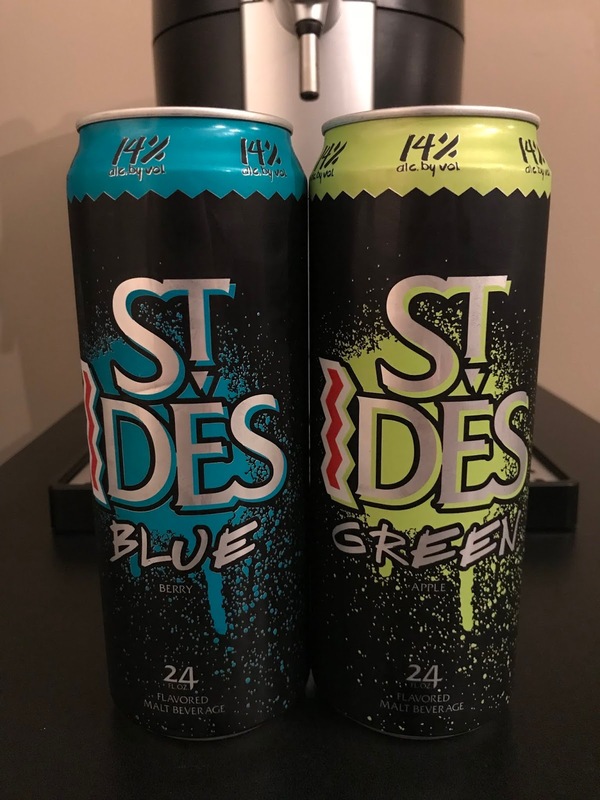 What's the verdict on both beverages? 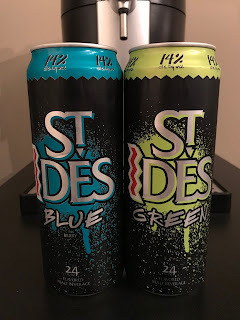 Both are very drinkable and go down smooth. 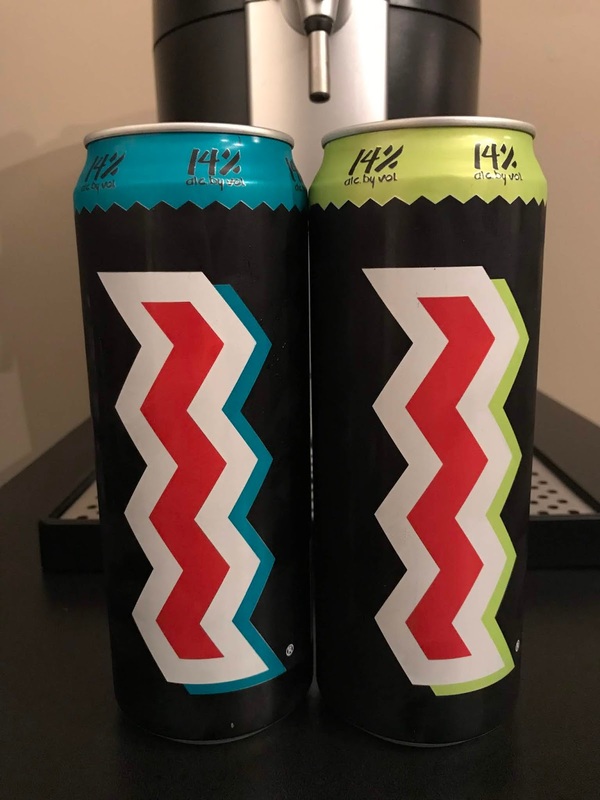 Trust me, you can drink a lot worse if you are looking to get a good buzz going than these two in the malt beverage market. Check out this weeks podcast for my full review and thoughts on both of these bad boys! 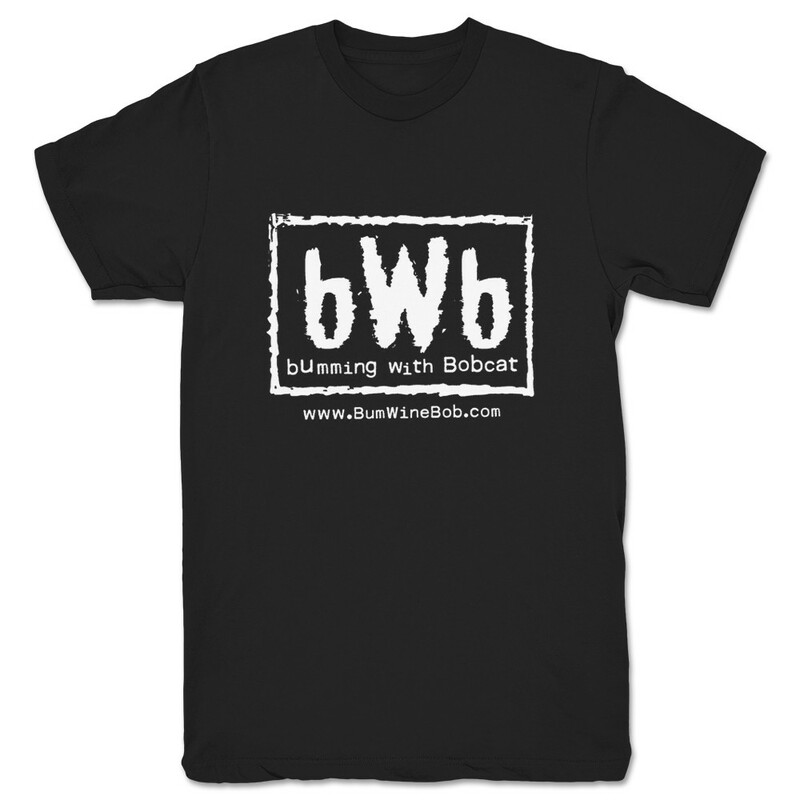 While TeePublic might have gotten the DMCA Takedown Notice from World Wrestling Entertainment, Inc. to remove the classic bWb logo designs from their store, the classic bWb shirts are still available on What A Maneuver! Order your shirts NOW while you still can and I will include a FREE bWb foam can koozie with your order!